Let’s start with the good news: You have chosen a great career. Many people don’t even know what IT Security Analysts do in their job, and you won’t face a tough competition in your interview. Never. It may easily happen that you will be the only person they interview for a job, or one of two or three candidates who applied. This is much better than applying for a job of a teller, supervisor, or marketing trainee, or pharmacist, where people compete against dozens of other job seekers in their interviews. But back to your specialization. You will deal with three types of questions in your interview: personal, behavioral, and technical. Whether technical or behavioral questions will prevail depends largely on the person who will lead an interview with you. Senior technician, or CTO, will focus mostly on technical questions. HR manager, CEO, or HR generalist, will focus on behavioral questions. They have no other option, since they do not have the skills to evaluate your answers to technical questions. Anyway, if you want to do the maximum for your success in this interview, you should get ready for all three groups of questions. Let’s have a look at them, one by one. 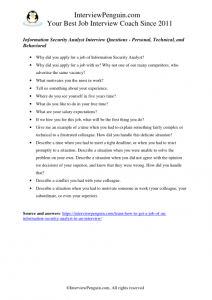 Why did you apply for a job of Information Security Analyst? You can say that you enjoy doing what IS Analysts typically do, that you have experience with installing firewalls and antivirus software, and that you believe to have the right character abilities and skills to do an excellent job on this position. Try to show them the value you can bring to their company. Why did you apply for a job with us? Why not one of our many competitors, who advertise the same vacancy? Try to find something about their company that resonates with you. Perhaps their core business, or the networks they use and the technology they have in place. Or you like to work in a small team (or a big one), or perhaps you see interesting opportunities for career growth with the company. One way or another, they should feel that they are your first choice. What motivates you the most in work? Most of us work for money, or for things we can buy for money, for us and for our loved ones. 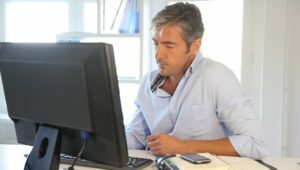 Nevertheless, you show try to convince the hiring managers that you see a purpose in going to work, that you are passionate about improving the security in computer networks, that you actually want to accomplish something in your job. Job itself, the results, and desire to become a great analyst should drive you forward in work. Tell us something about your experience. Everything counts. Even if you administered local network of computers back home, or experimented with firewalls on your own machine, you should mention it. It is better than nothing. Roles of system analyst, database admin, or network admin sound especially good. And most importantly, do not forget to speak about your experience with enthusiasm, so they feel that you enjoy doing this type of work. Behavioral questions help the managers to understand your attitude to work, and how you’d approach various situations that happen in the workplace, on a daily basis. Try to show the right attitude, and do not be afraid to talk about your failures and mistakes. Show them that it is easy to work with you, and that your new colleagues will enjoy your company. 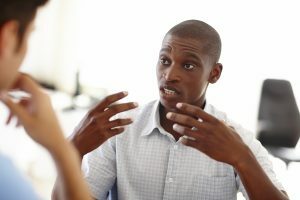 Give me an example of a time when you had to explain something fairly complex or technical to a frustrated colleague. How did you handle this delicate situation? 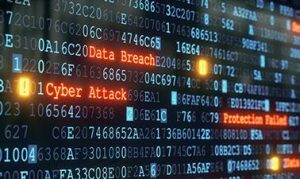 You will experience this situation quite often: trying to allocate the resources, you will often talk about the necessary security measures with managers, and with people from the financial department, who will know nothing about cyber attacks and network security. Or you will ask a certain desktop user to follow a procedures, but they won’t understand you… Show the interviewers that you do not mind using simple language, and helping yourself with pictures, videos, and demonstrations, while trying to get your message over. Remember that it is your attitude that matters the most. Show them that you are ready to step outside of your comfort zone, and adjust your language to the needs of the recipient of your message. Describe a time when you had to meet a tight deadline, or when you had to react promptly to a situation. Attackers do not wait for you to be ready for their next move. They will always come up with new ways of breaching the security wall, and stealing the valuable data. You can talk about a situation from your job related to network security and administration, for example when you quickly had to install an update or new security measure to protect the company from an attack. But you can also talk about a completely different situation, such as dealing with heavy workload, or even having little time to prepare a presentation for school exam. The key is to show them that you can prioritize your tasks, that you do not panic under pressure, and do not mind going an extra mile when the deadlines are approaching. Describe a situation when you were unable to solve the problem on your own. One of the common problem companies face when managing their IT personnel are the communication skills–the lack of them to be exact. Another is an inability to cooperate, and to admit a mistake… Show the interviewers that you are different, that you do not pretend to know everything, and do not mind consulting your colleagues on any given problem. You are eager to learn, and ready to give credit to people who are smarter than you. That’s the impression you want to make with your interview answer. Bear in mind that when you apply for an entry level job, you may not get any technical questions. The same applies to a situation when you have a proven track of experience with the job, and apply for a senior role. Once you have experience and references, the hiring managers won’t doubt your ability to handle the job. Nevertheless, in most cases (I’d say about 60% of the time) you will get at least three or four technical questions. And though we can list the questions here, there is one excellent website that does a great job in this case, a much better than we could do here. They list more than 40 technical questions for Cyber security Analyst. Check it out here: Grey Campus. If you prepare for your interview with our personal and behavioral questions, and with their list of technical questions, you can be sure that you have done your very best to succeed. We wish you good luck! InterviewPenguin.com – Your best interview coach since 2011. Interview Success Package from InterviewPenguin.com – Multiple brilliant answers to 30 most common interview questions. Your best bet for last minute interview preparation. Network Engineer interview – Learn how to secure this prestigious job in an interview.